You might be habitual of carrying drawstring backpacks by slinging them over shoulder, but at times, you may want to carry them through handles. If you feel it more often, then perhaps your customers may fee l it too. 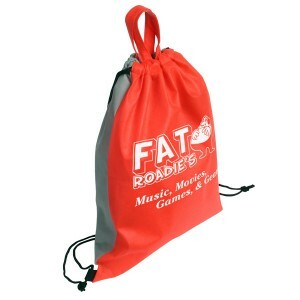 Why don’t materialize your and customers dream by investing in logo imprinted promotional glide right polypropylene drawstring backpack. 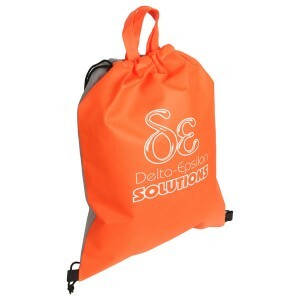 These backpacks are sure to take you brand information to next level. 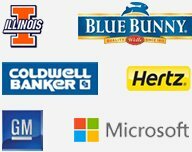 It is perfect for colleges, local sport teams, universities, and high schools. 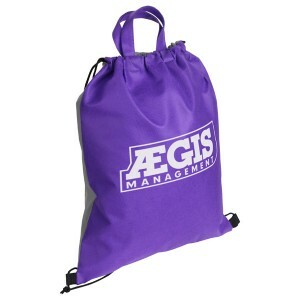 It lends you large area for imprinting and is made up of recycled and reusable non –woven polypropylene. 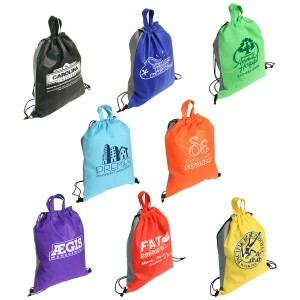 Request a quote to know wholesale savings for these customized glide right polypropylene drawstring backpacks. 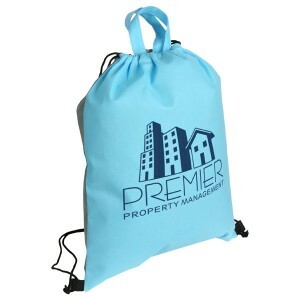 Features- Made from premium quality 100GSM non-woven polypropylene. 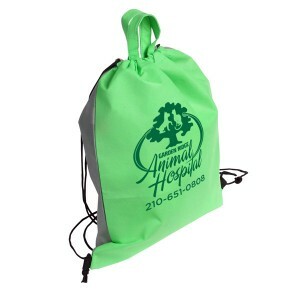 Reinforced drawstrings and hanging loops. 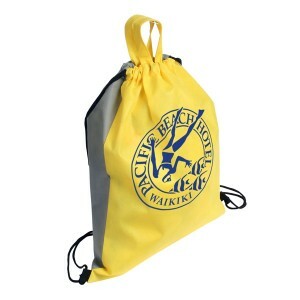 Drawstrings aid to close top securely. Recyclable & reusable. Adaptable backpack bag. 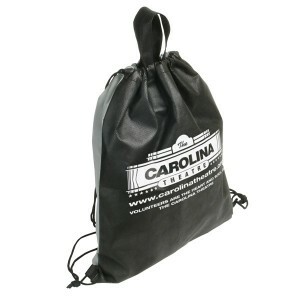 Two color imprints on black bags is limited. 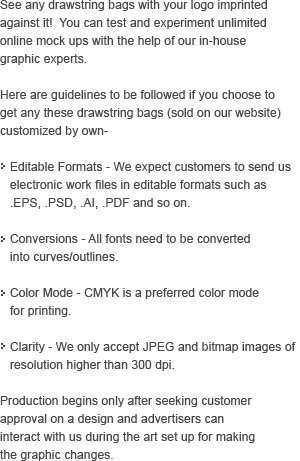 Please submit art prior to placing order for approval. Item Size - 13" x 16". Imprint Size – Front/back 9.5”x 7.5”. Imprint Area : 9.5" x 7.5"
Product Size : 13" x 16"